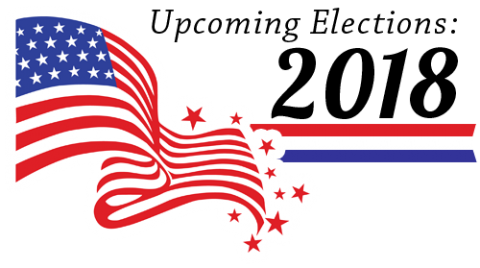 While the Randle Highlands Citizens' Civic Association does not endorse candidates or political parties, we encourage all residents to participate in the electoral process by voting in every election. This page is intended to provide you with the necessary information you may need to vote in the upcoming election on Tuesday, November 6, 2018. November 6, 2018: ​ 2018 Midterm General Election. Randle Highlands is situated in two different wards, Ward 7 and Ward 8 (click ward number for ward and precinct maps) and in three different voting precincts - Precincts 108, 111, and 133. Federal: Delegate to the U.S. House of Representatives, Class I Shadow Senator, and Shadow Representative. District: Mayor, Attorney General, Council Chair, At-Large Councilmembers (may vote for up to two candidates), Councilmember for Wards 1, 3, 5, and 6. State Board of Education: State Board of Education representatives for Wards 1, 3, 5, and 6. Advisory Neighborhood Commission (ANC): All 299 single member districts (SMD's) across all 36 commissions in the District of Columbia are up for reelection this year. SMD's Covering Parts of Randle Highlands: 7B02, 7B03, 7B04, 8A01, and 8A03. DISCLAIMER: The Randle Highlands Civic Association webmaster has made a good-faith effort to ensure all the information provided on this page is accurate, however, human error does occasionally occur. To ensure you receive the most up-to-date and accurate information we recommend verifying important information such as your precinct with the D.C. Board of Elections. To report outdated information on this page please email elections@randlehighlands.org.